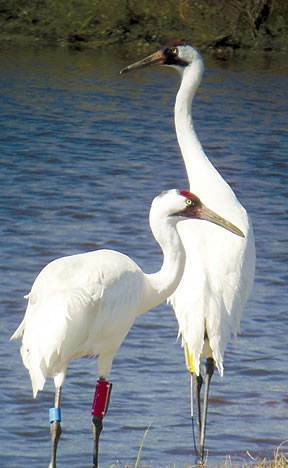 Do artificial nests work for Whooping Cranes? Ask the 'eggsellent' spy! A decade or so ago I taught into a course on Wildlife Management here at Lincoln. One of the things that I would do with the class was to ask them a few questions. One of the questions was "Which is the lesser of two evils: rushing in to save a species even if we are not sure that the intervention will be positive for the species OR waiting until we have researched our method to be absolutely sure of the benefits and problems of the method but possibly being too late to conserve the species?". Probably not surprisingly, given the class was of an active conservation bent, rushing in too soon was overwhelmingly supported over waiting till too late. This result was always handy for me as I spent the next few lectures railing at the problems caused by the gumboot brigade who act before they think. Sadly that course is no longer with us, itself a victim of a pre-mature culling. I was reminded of this course when reading a new paper by Des Smith, a post doc in the Centre for Wildlife Management and Conservation at Lincoln University, and his colleagues, mostly from Calgary Zoo and its associated entities. Des has been directly involved with conservation for the last 15 years. I'm not sure how Des would have answered my question. Des is definitely a do-er but he also is a thinker. .
One of the conservation strategies that he has thought long about is artificial incubation. Worldwide, over 150 endangered bird species are bred in captivity where they add to wild populations and help maintain captive stock. Notable species in New Zealand are black stilt and Campbell Island teal. One of the advantages of captive breeding is that eggs can be removed from breeding pairs and put into incubators. The 'loss' of a clutch of eggs often stimulates parents to lay another clutch. Thus, multiple clutching is a useful method for producing high numbers of eggs. Multiple clutching has been a useful method for species, like takahe, in building up wild populations quickly. What Des and his colleagues wondered though, was how similar are incubators to actual nests? To answer this question they developed the 'archive egg'. The archive egg was built to be the same size and shape as their endangered species, the world's rarest crane - the whooping crane. Packed into the archive egg were sensors for measuring temperature, humidity, light, and position (whether the egg is moved around). 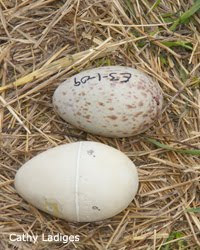 Armed with their spy egg, Des and co placed the egg into whooping crane nests (and sand-crane nests, as these birds are sometimes used as surrogate nests for whooping crane eggs) as well as three commonly used brands of incubators. The archive eggs were left for 30 days to gather data. As spies the archive eggs worked well. They successfully infiltrated the nest as the birds were happy to treat them as if they were their own eggs. From here their covert operation began. Were artificial incubators similar to real nests? Well, not so much. Crane nests were cooler as they were maintained at about 32oC whereas incubators were around 37oC. Humidity in crane nests varied hugely over time whereas it was kept at very similar levels in an incubator. Finally, in crane nests, eggs were turned such that all parts of the egg spent time face up. In incubators, turning the eggs only resulted in a few points spending time face up. So overall, real nests were cooler, more variable in humidity and better at turning eggs than artificial incubators. A major difficulty of captive rearing programmes for endangered bird species is hatching failure. A lot of time and resources go into captive rearing and yet the hatching rates are usually less than that of a real nest. The archive egg data suggests that a reason for this decline is that incubators, although better than nothing, are not as good a stand-in for parents as was thought. Using data from the archive eggs will allow researchers to fine tune incubators to the particular needs of an endangered species so that hatching success is similar to or may even exceed that of natural nests. This research shows the value of taking time to find out about a system. Let's hope that more eggsperts take it on board! In conservation research you sometimes get the feeling that some species just seem to want to go extinct. No matter what you do for a species there seems to be a further quirk of their behaviour or physiology that just makes conserving them even more difficult. 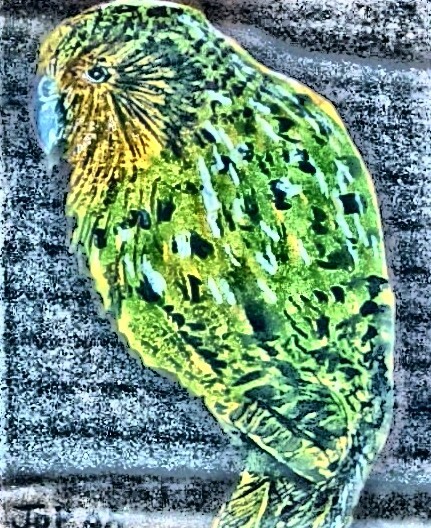 Take the kakapo. This big, flightless parrot from New Zealand was once extremely common. One just has to drive around the countryside to see numerous Kakapo Creeks and so on. 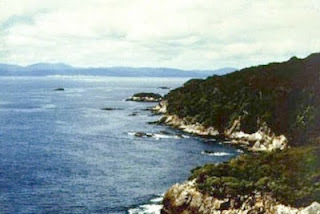 Habitat modification and introduced predators were devastating to this species and the last remnants of this species were gathered up in the 1980s and taken to the protected safety of islands like Codfish Island (or Whenua Hou) off the west coast of Stewart Island. Here there were few threats and reasonable levels of food. A year-round presence of Department of Conservation researchers could monitor individuals and ensure survival of their chicks. But there was a problem. The kakapo didn't seem to want to breed! A great deal of research went into figuring out what was holding the kakapo back. Was it a result of inbreeding as their populations had dwindled down to a handful of individuals? Was it a result of their complicated 'track and bowl' breeding display areas and lekking mating system? It turned out that much of the problem was the result of food. Kakapo females tend to move into reproductive mode in years of mast fruiting of rimu. Unfortunately rimu does not produce fruit every year, hence the kakapo females don’t breed every year. This seemed to be the answer until it was noticed that even in fruiting years many females were nonreproductive. The variation in female breeding activity was studied in more depth by Jo Whitehead (Department of Conservation and former Lincoln postgraduate student) and Brad Case, Kerry-Jayne Wilson and Laura Molles from Ecology at Lincoln University. 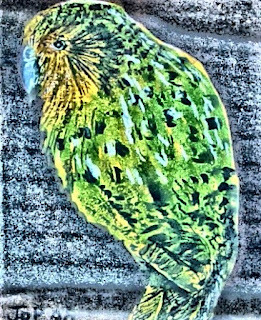 In a paper published in New Zealand Journal of Ecology, the team detail their research done on the kakapo population of Codfish Island. Eighteen breeding females were monitored over the years 2005 and 2006. All birds had fitted radio transmitters that allowed them to be located in the thick bush present on the island. Repeated fixes of locations over the two years allowed the researchers to estimate the home ranges for each of the individuals (areas in which the birds spend most of their time). 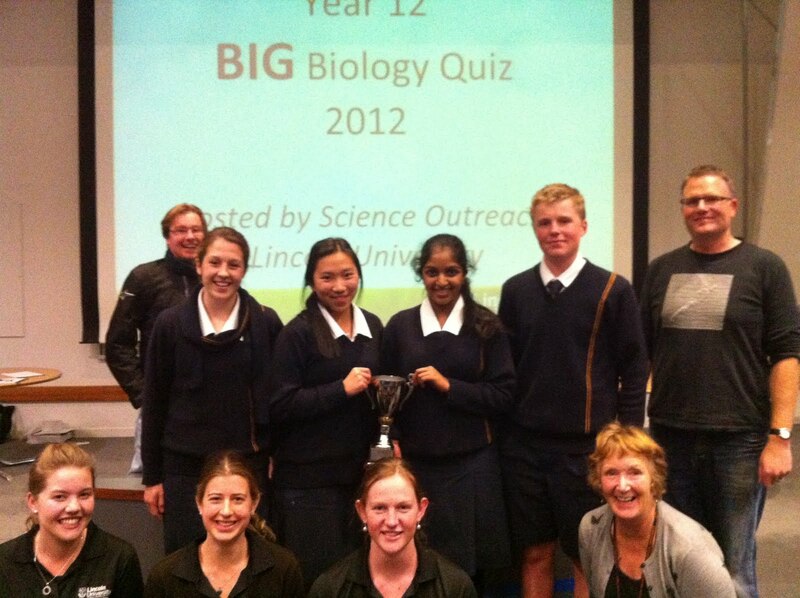 The researchers also performed a detailed habitat analysis where they recorded what plant species were present within a home range, especially the abundance of rimu. Home ranges generally did not overlap and varied a great deal in size as well as in the type of vegetation found in the range. The amount of rimu also varied a great deal from home range to home range. In 2005 there was a low-rimu-mast-year with only minimal fruit being produced and only some of the females bred. Whether a female bred or not depended on the size of their home range (larger home ranges were better) and the quality of the home range (how many rimu and other fruiting trees it contained). So the research showed a close link between the amount of food available to female kakapo and whether they made it to breeding condition. There were some valuable outcomes from this research. The researchers were able to develop a habitat quality map of Codfish Island for kakapo. They were also able to identify females in low quality habitat who might be good candidates for future translocation to islands with areas for food-filled home ranges. These advances allow more of the female population to take advantage of mast years and should boost the growth in the kakapo population.